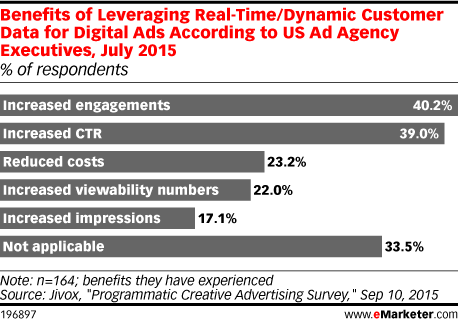 Data is from the September 2015 Jivox "Programmatic Creative Advertising Survey." 169 US ad agency executives were surveyed online in July 2015. Respondents identified their role at their company as in media planning (59.5%), media buying (16.1%), creative (3%), account management (7.1%) and other (14.3%).